Contrary to popular opinion, football is not all about trophies. As the old adage goes, it’s not the winning but the taking part that counts. Never could that be more true than with this collection of Serie A legends, who somehow managed to go through their career without tasting the sweet nectar of a Scudetto triumph. The retired Slovenian international keeper has been one of the best in Serie A since he signed for Inter in 2012. Prior to his time in Milan, the 34-year-old was at Udinese for eight years, although two of those were spent on loan at Treviso, Lazio and Rimini. 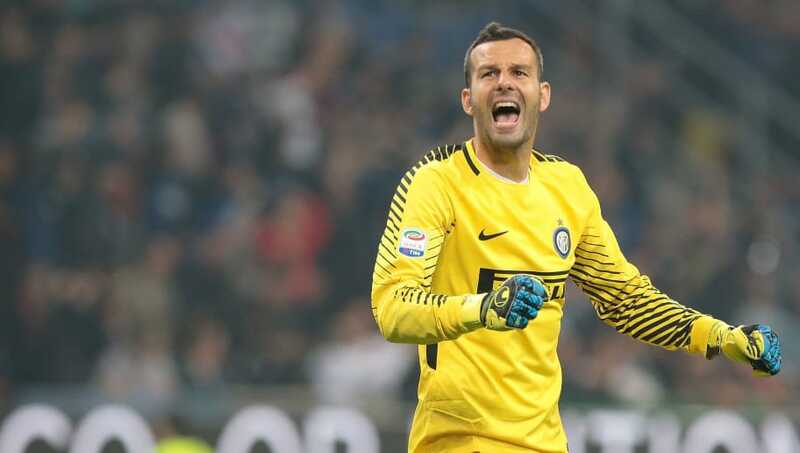 Handanovic has now accrued an impressive 139 clean sheets in 405 Serie A appearances. Despite his admirable impregnability, the Slovenian has still not been able to get his hands on the Scudetto. Indeed, looking at Inter’s domestic record during his tenure, you would perhaps expect a player of his calibre to have moved on for greener pastures. But this fails to recognise the amount of times Inter have actually challenged for a title – so often the winter runners up, before that notorious new year capitulation. Maybe, just maybe, 2018 can be the custodian’s year. 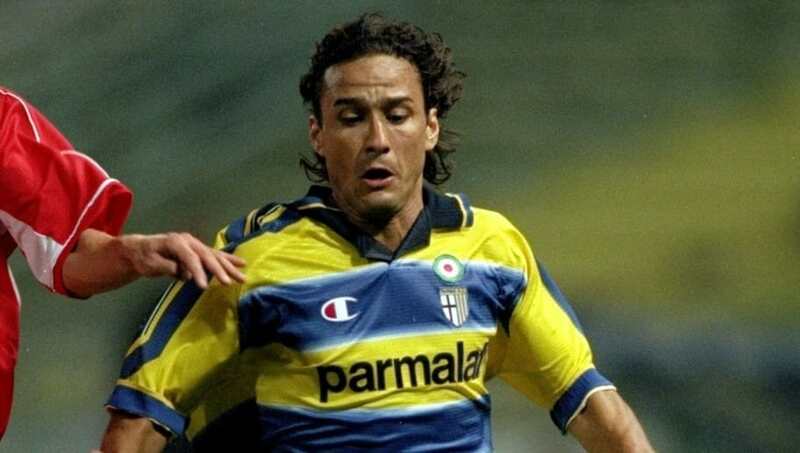 The Parma legend has three Coppa Italia’s to his name, and two Europa League’s (or UEFA Cups), but alas a Serie A title eluded him throughout his illustrious career. With early spells at Brindisi and Pavoda, it was the 13 years he spent in Parma from 1991 to 2004 that he is most remembered for, as he became the beating heart of a highly exciting and successful side. Playing 362 times for Gialloblu, Benarrivo remains the club’s second highest appearance maker, and is the only player who was present for all eight major trophy victories. He was also a major figure in Italy’s 1994 World Cup campaign, playing every minute of the competition bar the first clash with Ireland, and proving a vital tool for Arrigo Sachhi thanks to his versatility to play on both flanks of a defence. His strongest Scudetto charge came in 1996/97, when his side finished runners up to Juventus by two points. Perhaps a controversial one for those who ardently follow the Old Lady, but rules are rules, and both of Cannavaro’s league triumphs with Juve were ultimately nullified following the Calciopoli scandal. The first of two (spoiler) players on this list to win the Ballon d’Or, the World Cup winning captain started his career in Napoli, before joining Parma for seven years. Stints at Inter, Madrid and Juventus (twice) followed. And yet, despite all his impressions at club level, his lasting legacy lies predominantly with Gli Azzurri, as he became the most capped outfield player in the national team’s history, and a worthy Leggenda. 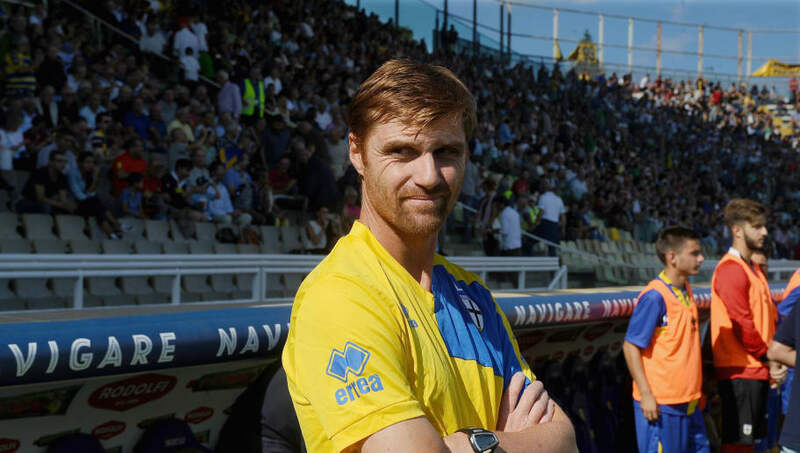 The man who pipped Benarrivo to Parma’s most experienced player, Apolloni registered 384 appearances for the Crusaders from 1987 to 2000, and eventually became their manager in 2015, leading the re-founded iteration (S.S.D. Parma Calcio 1913) to Serie D promotion in his sole year in charge. In his playing days, the Italian was a domineering presence at the back, forming a formidable partnership with Lorenzo Minotti. Unfortunately, the defender’s career was hampered by injury in ’96, and he never quite recovered, making just 24 league appearances over the next three seasons before he moved to Verona. Despite collecting just 15 international caps, he was still a part of Sacchi’s plans at the 1994 World Cup, and played 81 minutes in the final against Brazil after Roberto Mussi’s injury. While others in this list garnered considerable silverware asides from a league title, Di Biagio was a serial runner up, and the Coppa Italia Serie C1 is the only trophy to his name from an otherwise glittering career. Starting off at Lazio in 1988, the defensive midfielder made one appearance for Le Aquile as a teenager, before moving to Monza to garner some game time, followed by Zdenek Zeman’s Foggia. In 1995 he returned to the capital, but this time adorned in the burgundy colours of Roma. It was in Rome where he became a seasoned star of the Italian game, earning himself a call up to the national team, for whom he would score for at the 1998 World Cup. His consistency at Roma led him to Inter, with whom he was closest to securing that elusive triumph – a Coppa Italia title was precluded by Lazio in 2000, and they famously lost out to Juventus on the final day of the 2001/02 Serie A season. Born in the Greater Manchester area, but made in Rome, Perrotta was one of the unsung heroes from Italy’s 2006 World Cup campaign, starting every single game. After shining for Reggina as a youngster, the attacking midfielder had a season at Juventus and two at Bari before signing for Chievo in 2001. Three impressive years in yellow and blue resulted in a €7.2m move to Roma, where he would eventually end his career after nine years. Aside from his World Cup, the goal-shy Italian (his best domestic tally was just eight) accrued successive Coppa Italia’s in 2007 and 2008, and was a Serie A runner up no less than four times, the smallest deficit being two points in 2009/10. Only the second player so far on this list who hasn’t hung up his boots, Daniele De Rossi is a modern day great. Famously a one club man, the midfielder has been plying his trade in the capital since 2001, tantalisingly just after Roma’s last Serie A triumph. 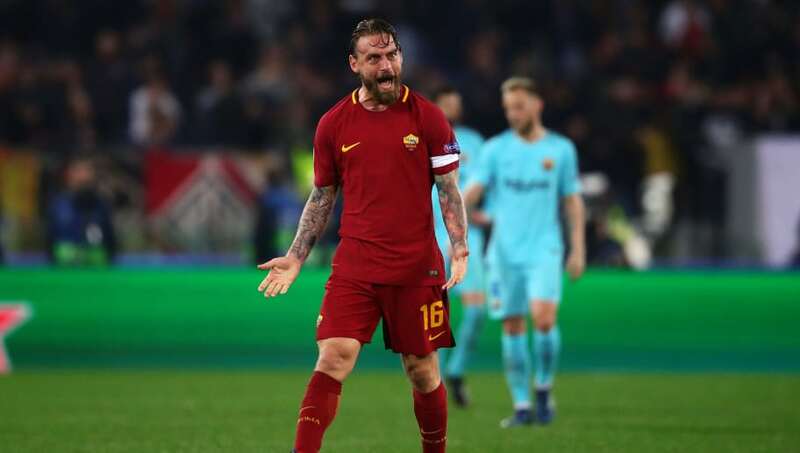 17 years and 593 appearances later, and De Rossi is a club legend, second only to the inimitable Francesco Totti as La Lupa’s all time appearance maker. 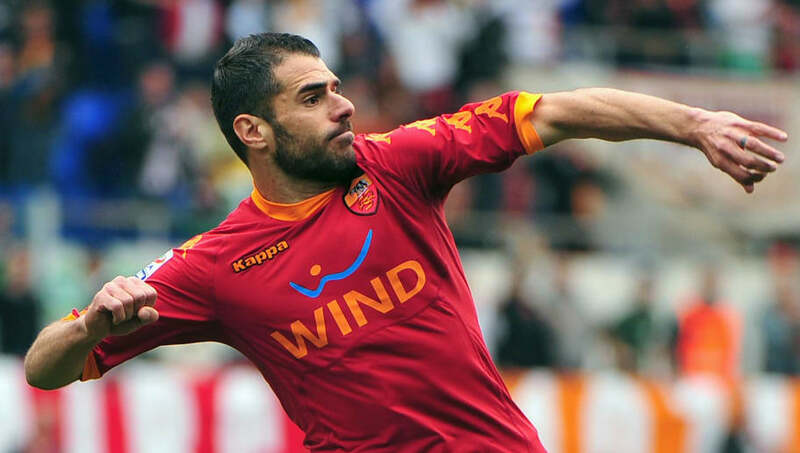 Serie A player of the year in 2006, the Italian has two Coppa Italia titles to his name, an Under-21 European Championship and the World Cup, but a league title continues to escape his grasp. 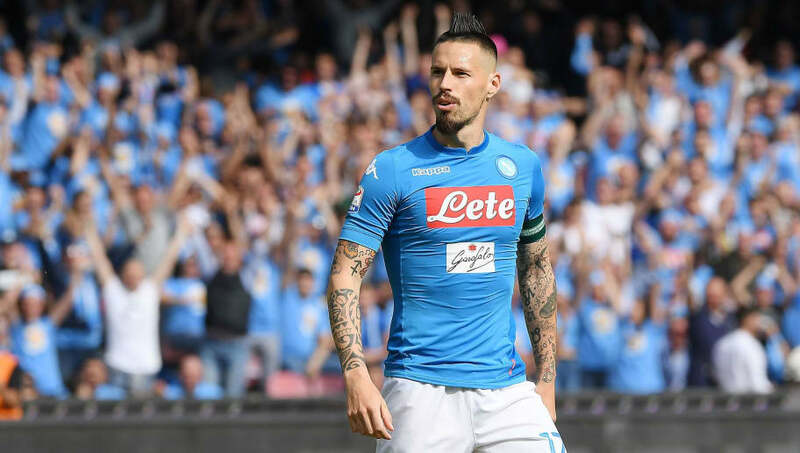 Napoli’s all time leading goalscorer, the Slovenian has been the linchpin of the Partenopei since his transfer from Brescia in 2007, for just €5.5m. The midfielder has collected 120 goals and 110 assists in 501 appearances for Napoli, two Coppa Italia’s in 2011/12 and 2013/14, and numerous individual awards – including one Serie A Young Player of the Year, three selections in the Team of the Year, and seven Slovakian footballer of the year nods – but the Scudetto continues to evade him. The charge under Maurizio Sarri last season was the nearest he came, accruing an unprecedented 91 points as runners up. Il Fenemono lived up to the name he was given to by the Italian press at Inter, arguably playing the best football of his spectacular career – after all, he did pick up the Ballon d’Or after his final season for I Nerazzurri in 2002, although his performances in South Korea may have helped. 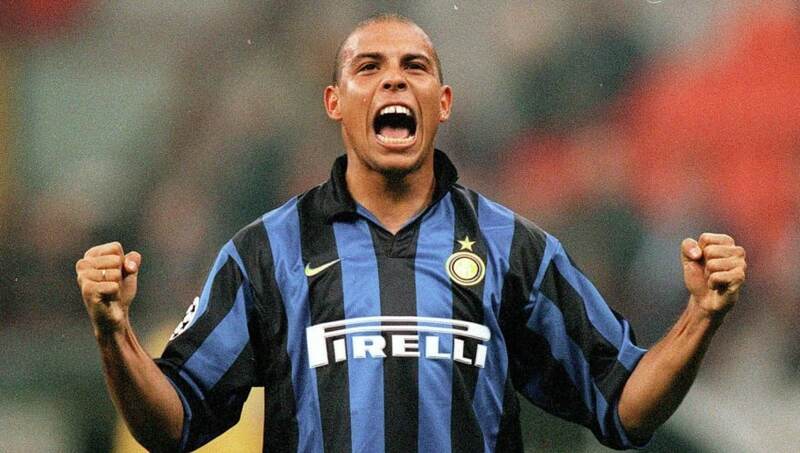 Second only to Pele as Brazil’s top scorer with an astonishing record of 62 goals in 98 games, the striker amassed three less in the same amount of games for Inter, and garnered the praise of legends such as Paolo Maldini, who put him alongside Diego Maradona as his toughest opponent. And yet, all of this was to no avail trophy-wise, predominantly thanks to the knee issues that plagued his third and fourth season. Regardless, he will still go down as one of Italian football’s most lethal players, and would thrive wherever he was put on the pitch – hence his placement on the right. Beppe Signori was one of the greatest characters of Italian football history, and that’s saying something. Famed for his one step penalties (of which he scored 44) and deft dinks, as well as deliberately wearing boots that were too small for him because it supposedly improved his game, he is joint ninth alongside Alessandro Del Piero and Alberto Gilardino in Serie A’s all time goalscorers list. Having made his name at Foggia in the early 90’s, he blossomed in his five years at Lazio, scoring 126 times in 195 appearances, and crafting a cult following. Alas, a Serie B title with Foggia and a UEFA Intertoto Cup with Bologna was all he could muster. As a graduate of Empoli’s youth system, Di Natale spent eight years in Tuscany, two of which were spent on loan at Iperzola, Varese and Viareggio. But it was his switch to Udinese in 2004 that sparked his career into life. Even then, he didn’t reach his peak until he was passed the proverbial hill that 30 represents in football. Indeed, between 2009 and 2011 (from the age of 32 to 34), only Cristiano Ronaldo and Lionel Messi scored more league goals than the Italian. With a remarkable record of 227 goals in 444 games, he is Udinese’s all time leading scorer, and sixth on Serie A’s all time list. A true hero to a generation of fans, the diminutive forward has a host individual accolades to his name – including a Serie A Player of the Year, and two Capocannoniere titles – but despairingly zero club honours.